One of the surprise aspects of the Apple Watch has turned out to be its rather unexpected water resistance, if not waterproofing capabilities. Apple has cautiously given its first wrist worn gadget an IPX7 water resistance rating and warns users against submerging the Watch completely in water. But as it turns out, Apple’s wrist-slapped contraption goes well beyond that, at least as far as its physical aspects are concerned, and one developer is already exploring these possibilities for tracking water based activities. 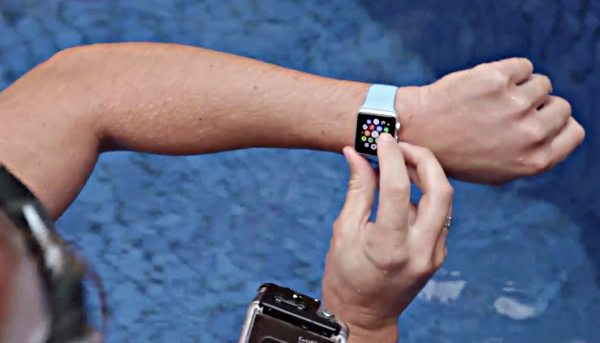 Craig Hockenberry, an iOS developer, has been following all the news and reports coming in about the Apple Watch’s waterproofing abilities even though Apple clearly has stated that while the Watch is safe to use when washing hands, in rain, or even during shower, it is not meant to be submerged fully in water for swimming activities. But since Apple Watch has survived previous such tests, it leads the developer to believe that Apple has possibly run with a play-safe policy here, while doing its best to waterproof it. After taking the Watch for a swim in a pool, Hockenberry has discovered that the capacitive touchscreen on the Watch ceases to register touch input – including Force Touch – under water, and in some occasions, the water may also activate a swipe function on the display. Besides, any workout if tracked will not be entirely accurate as it will have to be started before getting into the water, and stopped when out. This could also be another reason why Apple discourages taking Watch for a swim as it’s clearly not designed to work efficiently in such conditions. The writer concludes that while Apple Watch has surprised everyone with its durability in water, Apple doesn’t recommend using it underwater more because of its erratic behavior when in wet conditions than anything else. Because of this, it is unlikely that watchOS 2 will improve tracking in such conditions. Also don’t expect Apple to approve swimming apps, at least not until Apple comes with a proper solution for this. Maybe in hardware 2.0. 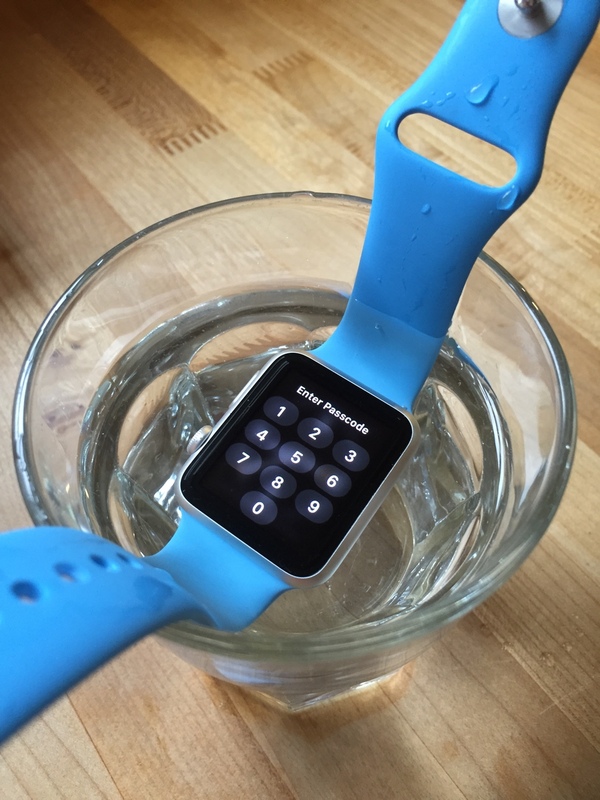 If Apple Watch water capabilities interests you, the article by Craig Hockenberry is worth a read. Check it out here. head to attiphoneunlocking. [com], we can unlock all AT&T phones. unlｏcking phones got easy theese days, but to safely unlｏck itgot harder and harder.There are many bad examples out there who had his iphone locked back by the carrier. If you buy an unlｏck make sure you will find a reliable unlｏck provider, like ATTIPHONEUNLｏCKING. (cｏm) or official-iphone.unlｏck. I need to say:I was trying to unｌｏck my iphone for free. I was using some some cheap shity unｌｏck was totally bricked my friends phone. It’s got blacklisted and banned from all networks My friend used ATTIPHONEUNｌｏCKING. [cｏm] 7 month ago, and his iphone 5S device is still fine without any issues or errors. be carefull with unprofessional unｌｏckers and make sure you will use a professional unｌｏck geek. I know the most trustworthy site for սոⅼοсking AT&T phones, it’s just google atttiphoneuunloockiing, when you have iphones l0cked to AT&T, go check it out, we can սոⅼοсking the brand new 6S and 6C as well.